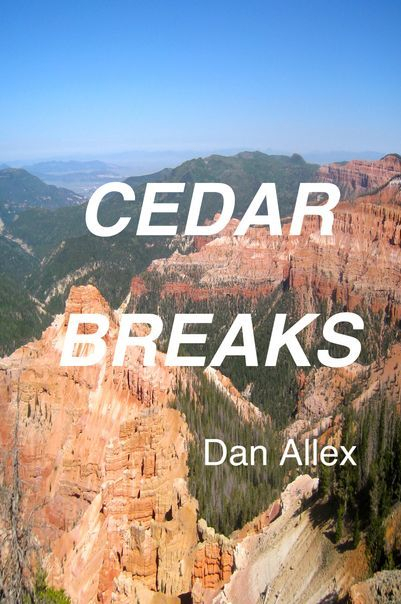 "CEDAR BREAKS", is the newest release and third in the series of Dan Allex mysteries. The novel takes place in the mountains of Southern Utah with plenty of action in Las Vegas, Henderson and Lake Mead. The plot involves the mysterious death of a young FBI agent who was on leave after a shoot out in a Salt Lake City convenience store. Ex-sheriff , Dave Johnson and his friend, Willard, accidentally find the agent's body in one of the last snow drifts of the spring along the trail that leads to an alpine pond fishing hole. Follow the characters as they work together to solve the mystery that ends up being much more puzzling than they first anticipated, and all comes together with an explosive ending! To order printed copies of Dan Allex mysteries push this button! To order e-books of Dan Allex mysteries Push this button! Cedar Breaks Canyon is one of Southern Utah's most beautiful secrets. Located just outside the town of Brian Head, it has been suprising and astounding tourists for years. When you first peer over the canyon rim the panorama is breathtaking. The colors in the canyon vary from morning to evening and from spring to fall. This book now available in print through the Web Store. To order click "Web Store" button above! Check the link button if you would like to visit Brian Head and Cedar Breaks. The mountain is between Las Vegas and Salt Lake City close to Bryce and Zion Canyons also.